You personalize the looks of the character in the story yourself over and over again using the special character builder software built into the program. Pick your child's skin color, Hair Color, Eye Color, Facial features, Clothes and more. Change the looks of the child as often as you wish. Please be sure the computer you will be installing the program on meets the requirements listed below. Spider-man comes and spends the day with your child in this amazing new personalized and interactive CD Story Book! Your child brings Spider-Man to school for Show and Tell. Your child helps rescue a cat and dog, capture Dr. Octopus, and has many more exciting adventures with Spider-Man, Hulk, Wolverine, Mr. Fantastic and even Dr. Octopus and the Green Goblin. 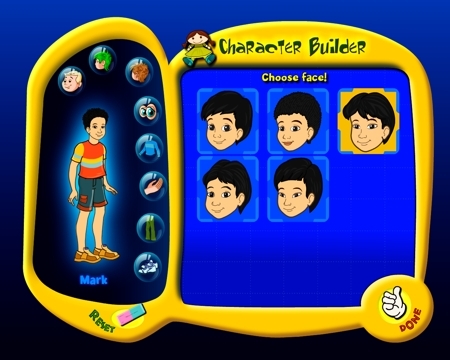 Using the character builder software, a cartoon replication of your child is incorporated right into the story! So not only do they see themselves on the screen, they hear their names read aloud by the narrator as well. 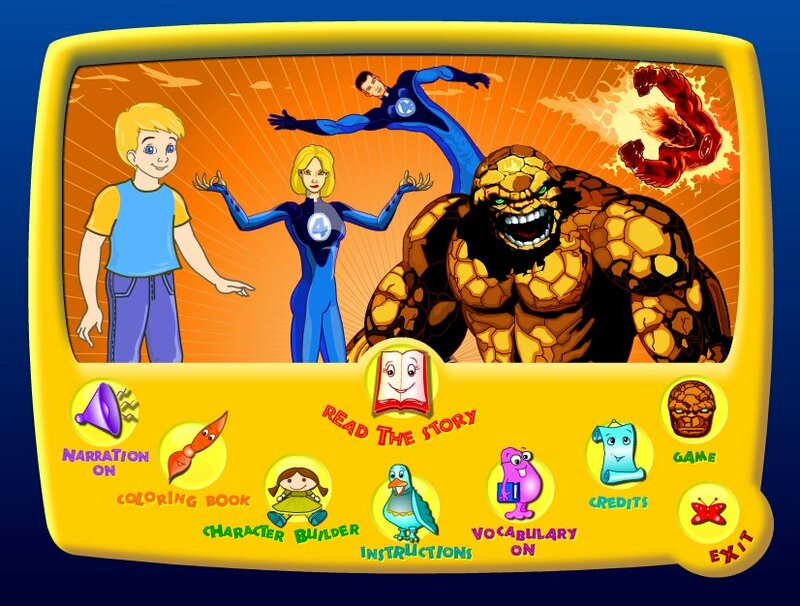 As the narrator reads the story your child can read along with the printed text and play with all the interactive characters to make the story more entertaining. Additional games and coloring books are included to hold your child's attention for hours at a time. With thousands of different names to choose from, your child can be the star of their very own Spider Man Story Book! If you don't see your name make sure to check different spelling possibilities or e-mail and ask us. Click images to see larger customization and menu pages.